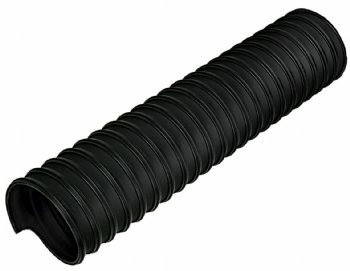 An extremely flexible and compressible all around medium duty duct.With the enhanced chemical and temperature resistance of TPR an extremely smooth interior for superior flow. A heavy duty external wire encapsulated wear strip protects against abrasion - but will not scuff or mark surfaces. Weight: 1.1 lbs/ft - 6" diam.